There’s no doubt that I love Makeup and it takes makeup to look flawless and glamorous but its only if you have a clear skin that you feel beautiful from within. So its essential that you take good care of it by using natural products that are chemical-free and harmless. 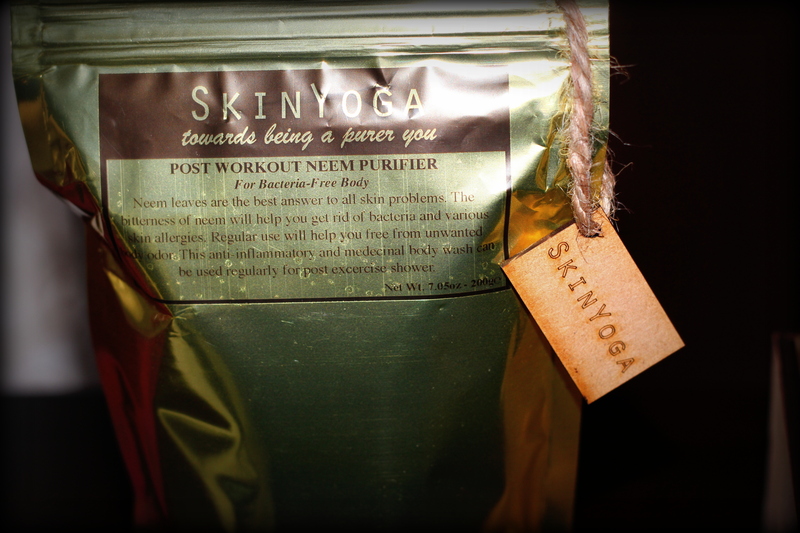 So, in this post here I’m going to review two products from SkinYoga that I’ve recently started using and trust me, they are doing wonders to my skin. 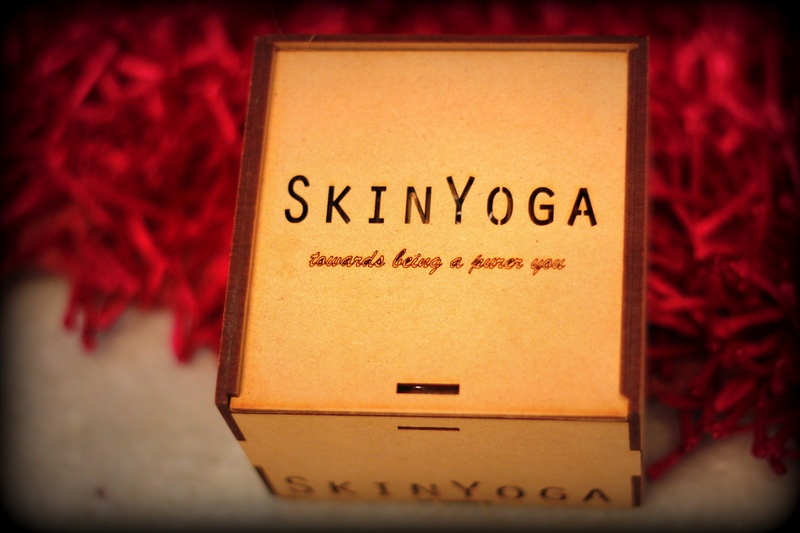 SkinYoga is a 100% natural and luxury skincare brand, selling worldwide on www.skinyoga.in. The first product here is a Sandalwood Saffron Face mask. Its ingredients include Sandalwood powder, Walnut meal and Saffron. While the sandalwood helps in reversing the signs of ageing and removing wrinkles and dark spots, the saffron helps in improving the skin texture and naturally making the skin lighter. Also, the antioxidants present in walnuts are essential for skin regeneration and elasticity, to boost circulation and to bring the oxygen and nutrients to your skin cells quickly. I love its packaging; it comes in a small glass jar placed inside a pretty wooden box. Application: The mask is in powder form so it needs to be mixed with few drops of water or milk, made into a thick paste and then applied all over the face, leaving the eye area. Once dried, massage gently and rinse it with water. Its a wonderful product. Use it to Believe it! The second product here is a Post Workout Neem Purifier. Not many of you know that I’m a fitness freak and its one thing that I try not to miss unless I’m superrrr busy. So this is one cleansing scrub I would recommend to all those who like to sweat it out in the gym or do any form of exercise as part of their daily routine. It is an anti-inflammatory and medicinal body scrub that can be used regularly post workout. While the bitterness of Neem helps in getting rid of bacteria and various skin allergies, the barley in it is known for gentle exfoliation without drying up the skin. I usually use this scrub before my routine shower and believe me, the natural oils present in it leave my skin so clean and soft that I don’t even need to moisturise it post that. Application: Since its in powder form, small handfuls of it need to be applied onto the wet skin and then scrubbed gently for a few minutes before taking your routine shower. 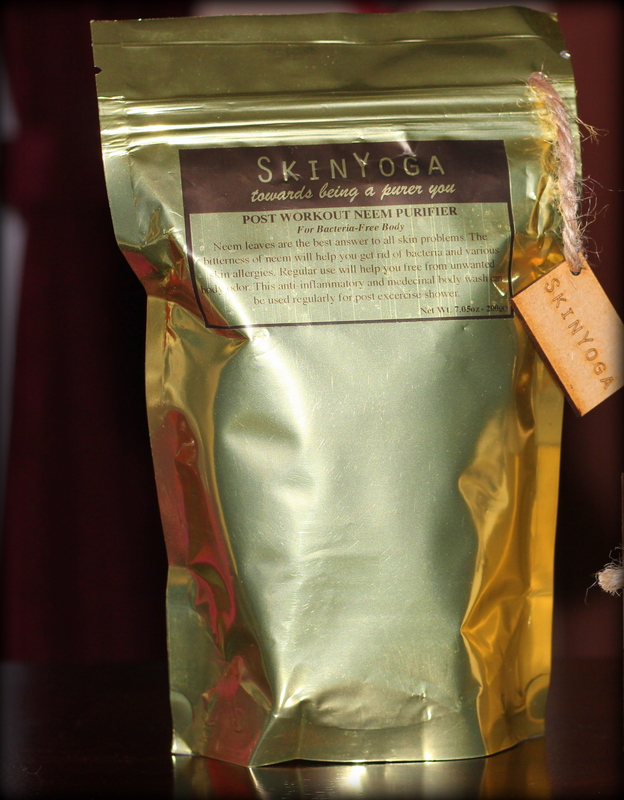 SkinYoga is a natural skincare brand that is meant for those people who are interested in including natural ingredients in their lifestyle. I absolutely loved all the products from their beauty range and I highly recommend them to all of you.